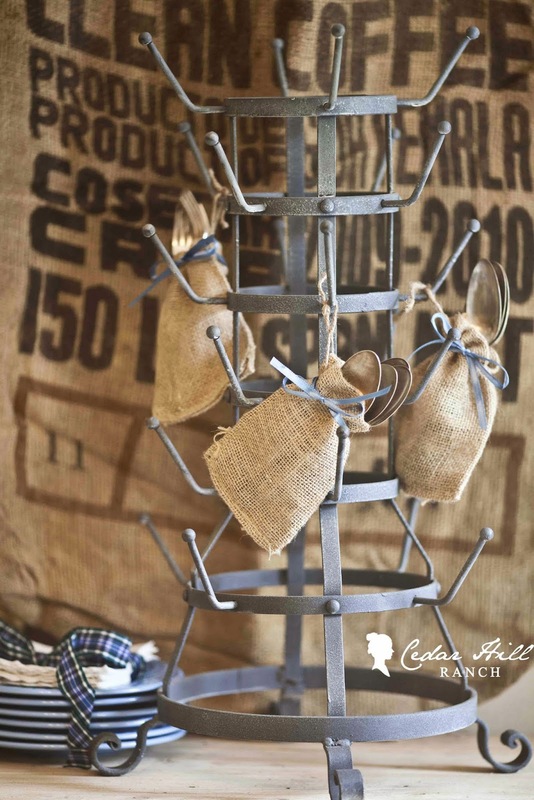 Have you seen the French cup holders also referred to as French bottle drying racks. I think they add a bit of romance to any occasion. I love using mine out of doors. It works wonderfully holding glasses for a party. 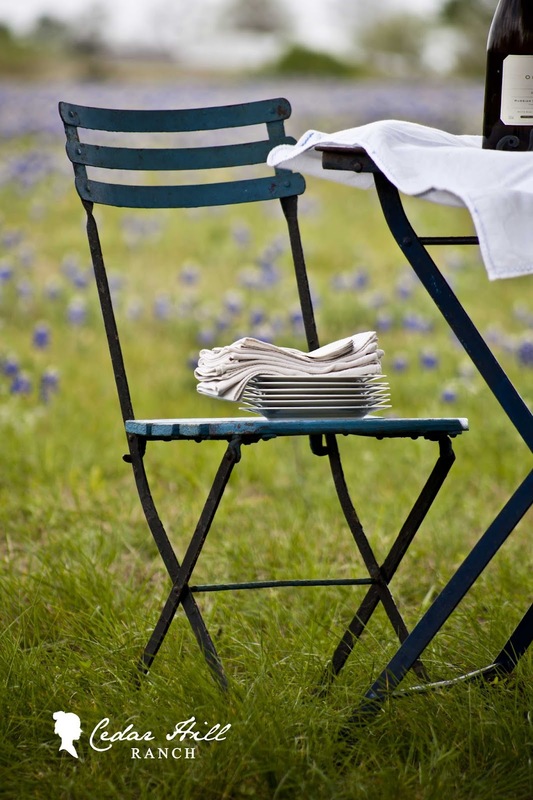 An antique French bistro chair can be used to stack plates and napkins. I just love enjoying the breeze out here in our pasture, and what better place to entertain a few close friends. 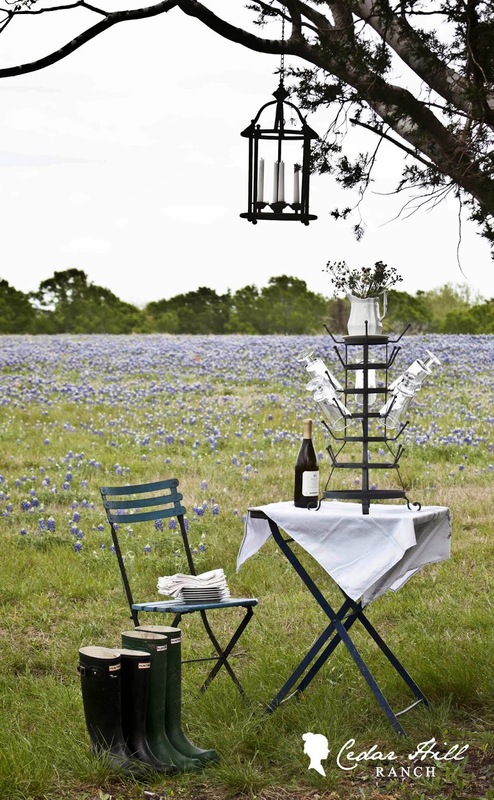 It’s also the perfect place for a romantic rendezvous. 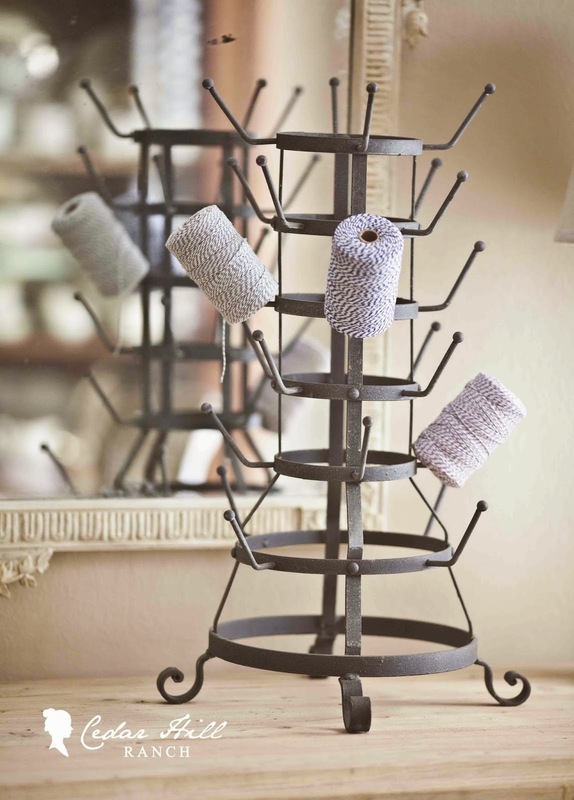 You can get one for yourself (the French drying rack, not the rendezvous) today at Decor Steals. Readers always ask me where I got mine, so I’m so excited to tell you you can grab one for yourself today, at their fab price. Thank you Decor Steals for using my photos today!! Here are some more photos I took for them. Anita, I love this! I have a smaller one, but this one has such great curved legs! Once again, your photos make the product! They are gorgeous! Hmm, I’m not sure that drying rack is conducive to a romantic rendezvous…you’re likely to get poked in the eye while leaning across to kiss your redezvous-er! 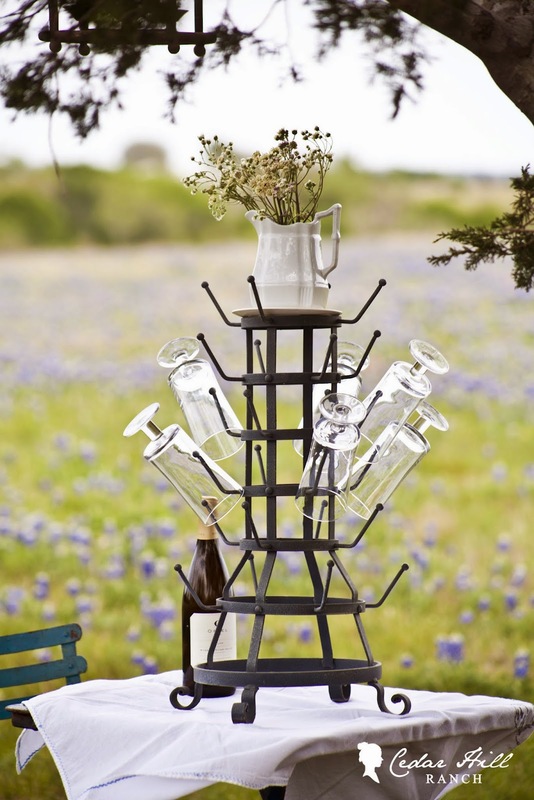 But for all other occasions…love that rack! Anita, I saw that steal this morning and was tempted. 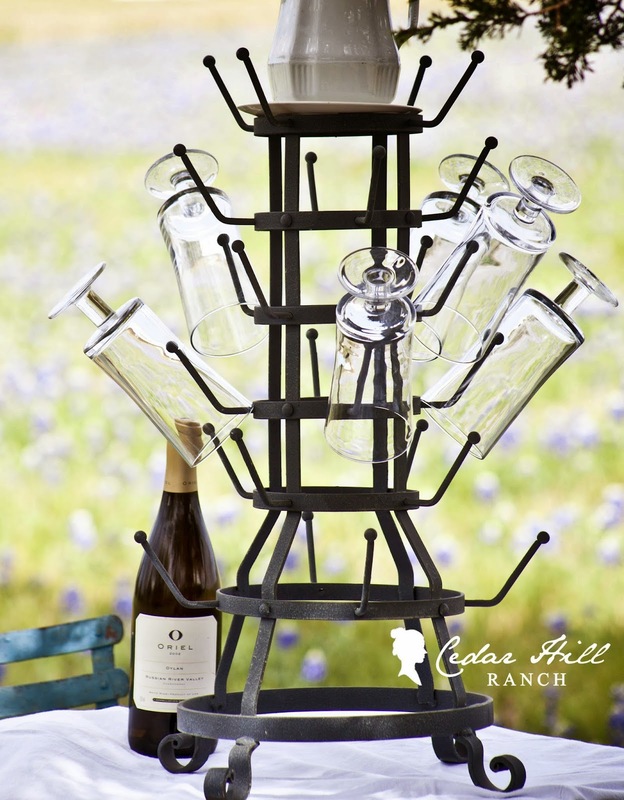 If I had a ranch house with room to use and store one of these, I’d placed an order. Your inspiration photos are great ideas. Fun to use it for a party. 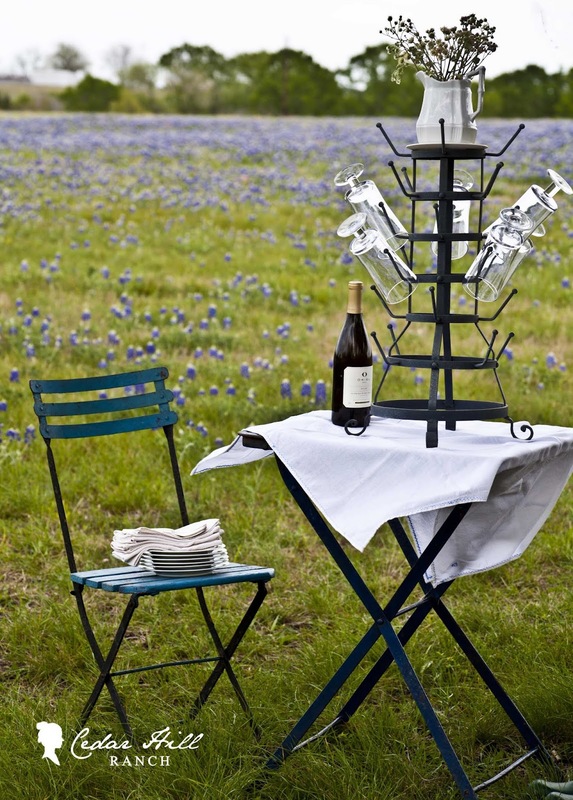 Anita, what a beautiful place to put your drying rack… the bluebonnets look fabulous in the background! Very pretty. 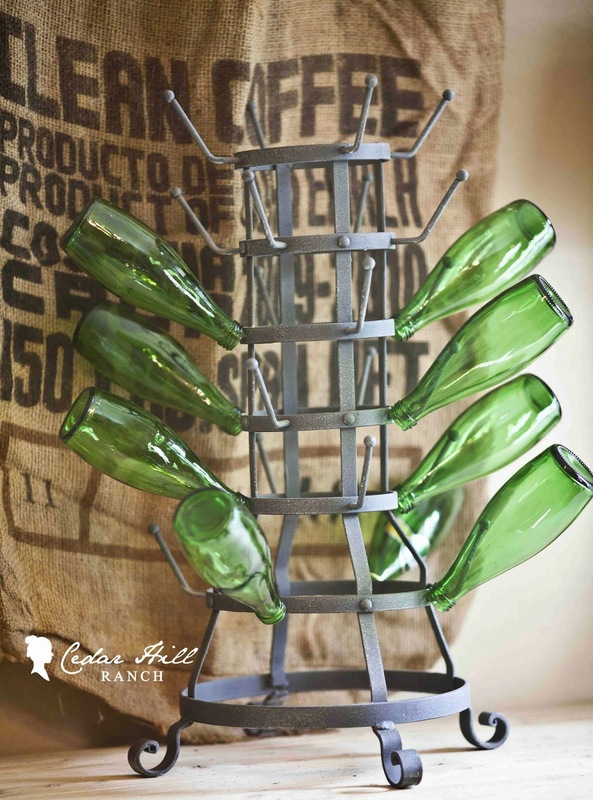 I just love these old bottle racks. I am going to check out that site…Gorgeous photos!